Batya Friedman: So from where you sit now, if there was another genocide somewhere else . . .
BF: . . . and a tribunal being created, and they were trying to establish the prosecution there, what kinds of things would you want the person who is taking the lead there to know or think about so that they could, you know, more readily get an effective prosecution up and running? Well, fortunately that’s one of the legacies well bequeathed to the international criminal justice system. Starting late 2004, we embarked on documenting best practices in conjunction with other international prosecutors. We, we held a prosecutors’ colloquium here in November of 2004. It was the first international prosecutors’ colloquium. You know, and, and one of the recommendations was, you know, to develop best practices in light of our completion strategy. So we ha-, we, we, we still are in the process and hope to have finalized a best practices manual by early next year. BF: So what would, what would some of those best practices be? Well, yeah, you’ve got best practices in investigations, best practices of pre-trial preparation, best practice trial, best practice in appeal, evidence collection, storage, retrieval systems, management systems. But the primary thing if you’re starting up you really need competent staff who know what they’re doing. I mean w-, we started from scratch but now there’s a, you know, not only is there a large body of jurisprudence, you know, but even expertise. And just to give you an example, the prosecutor of the special court for Sierra Leone . . .
. . . is ex-ICTR, he was Chief of Prosecution here, Prosecutor of the Cambodian Extraordinary Chamber was one of our colleagues here. The deputy prosecutor of the ICC, you know, is a former colleague here so, you know, our expertise has been exported in, in, in the establishment of, of these new tribunals. And, you know, even in the Hariri Commission, the L-, Lebanon tribunal, Chief of Investigation was an investigator here. And actually before we seconded him there, he was involved in the Darfur investigation by the United Nations High Commission for Human Rights. You know, and they all take with them best practice because they’ve been there done that, yeah. BF: Right. 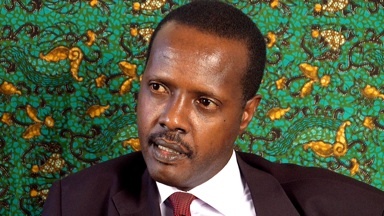 One of the things you mentioned, which actually affected you early on was that initially it sounds like there was some decision not to hire from the region and clearly a decision not to hire Rwandan prosecutors. What, what are your views on that? BF: You know, clearly those decisions were made then and, and probably well thought out given the situation but now in hindsight as you look back, for tribunals going forward, if, if you could set the policy what, what do you think is, would be a good way to go? No, I think you have to consider it on a case-by-case basis. You know, Rwanda was peculiar, you know, extremely polarized. You know, so, if, if, you know, to, to, to give it a semblance of justice, you know, I think it was, in the initial stages an imperative that, you know, Rwandans be excluded from the decision making process. I mean we had all the local staff were Rwandans, but none of the prosecutorial st-, staff were Rwandans. You know, you had support staff being Rwandans. Interpreters, you know, were a must. But you know, 14 years on, you know, it's opened up. We have several Rwandan co-, colleagues as prosecutors, you know. We’re even trying to get these cases transferred to Rwanda because we believe they’ve, you know, sort of stabilized in the last four-, 14 years. At the establishment of the tribunal I mean R-, Rwanda was still relatively unstable and had no infrastructure nor human resources, you know, you know, to, to host and run the, the tribunal in, in Kigali. And that’s why, you know, the tribunal was situated in, in, in Arusha. It works differently. There’s a tug of war however, I believe, or I’ve heard, in, in the Cambodia hybrid sort of setup, the Extraordinary Chambers . . .
. . . l-, largely again because of the internal dynamic of, of that country. I do know that in the special court for Sierra Leone, which isn’t an international tribunal in the sense of the ICTR, ICTY, y-, you’ve got both foreign and local judges, and foreign and local prosecutors. Yeah, yeah, yeah. So I think, yeah, it’s, it’s got to be approached on a case-by-case basis, yeah.